In the lower right hand corner, hold down on the Compose button. This will bring up the drafted emails. 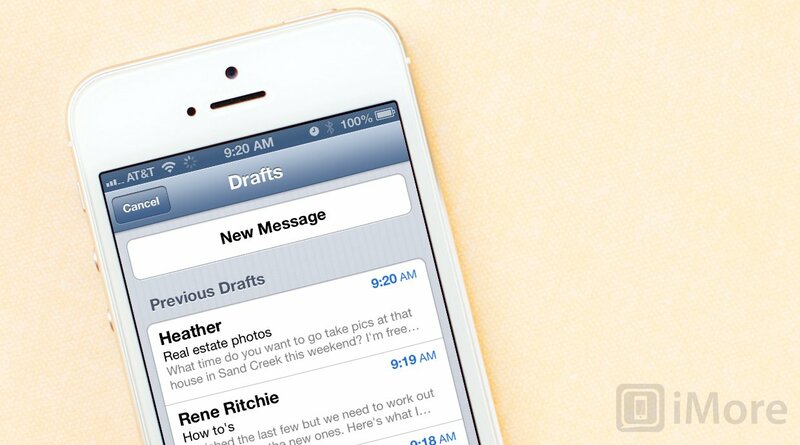 Simply tap on the draft you'd like to finish writing and you can fire away the email as soon as you're done. That's all there is to it.